Giveaway:HF Bloggers Round Table: The Secret of the Glass Event: Marriage or Cloister? Welcome to the continuation of the Round Table Week promoting The Secret of the Glass. 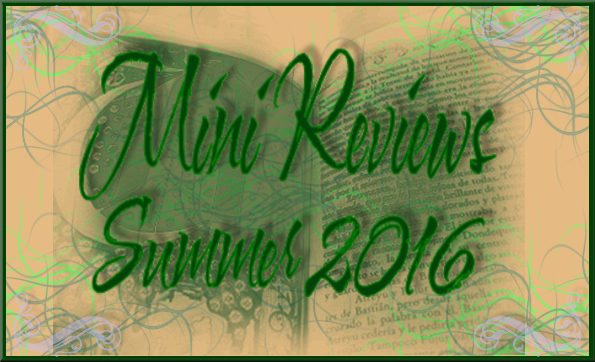 Read my review of The Secret of The Glass here. ENTER TO WIN THIS PENDANT AT THE MAIN HFBRT SITE! 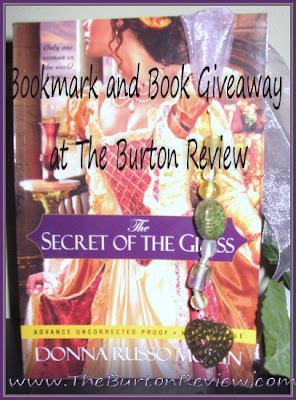 You have two chances to win Donna Russo Morin’s newest historical novel, The Secret of the Glass. The Round Table is giving away 1 paperback copy to a lucky participant who comments at the main site at http://historicalfictionroundtable.com/?p=175. A separate giveaway is running for the beautiful glass pendant featured above, click the picture to reach that contest form. You can also qualify for the book giveaway of the ARC of The Secret of the Glass by following the instructions at the end of this post. Marriage or Cloister? Which would you choose? Although focusing on France, the above quote holds true for Venice in the time of Donna Russo Morin's newest novel, The Secret of the Glass. The additional hindrance adding to the sad reality of the above quote was the fact that Italy had an impossible dowry system for many of the families. The fifteenth century saw a huge inflation to a required dowry in order to secure a suitable mate for a dreaded daughter. Many women were forced into convents due to the lack of a dowry, which was set at an extremely high amount. What was originally supposed to be treated as an inheritance for the bride to retain at the end of said marriage, became something that was inevitably lost to the future husband. Families struggled to obtain these large sums that the high dowries dictated as it was a harsh reality that had to be adhered to if hopes of a good lineage was to be obtained for anyone in the family. More than likely, the rest of the daughters were to be cloistered in a convent, some of which in those days were reputed to be no better than a brothel. 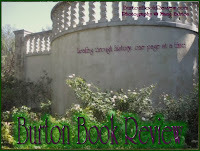 In reading Sarah Dunant's novel, Sacred Hearts in 2009 (my review), this issue regarding a young woman's future was also considered a main theme. This story had focused on the women who were indeed compelled to choose God as their only mate as they were forced into a strict convent. In Dunat's novel it also was apparent that the family who had enough money could at least choose a better convent as opposed to one not so popular. Some convents had access to funds from wealthier patrician families offering better foods, books, music or perhaps customs were not so strict as others. Interestingly enough, "nun" and the religious form of "sister" have distinct meanings in the Catholic Church, in most cases determined by the vows they take, solemn vows vs. simple vows, and the amount of good works devoted to the poor that are expected. To become a nun and live in a Catholic convent, the main requirement that is different that others is that one must eventually take the solemn vows and and recite the Liturgy of the Hours or other prayers within the convent community. A humble and honorable vocation indeed, and is to be admired and revered. In The Secret of the Glass, the daughters are faced with the reality that when the elder sister marries, there will be no dowry money left to 'purchase marriages' for those daughters that remain.The main significance that the imposed dowry system imparts is the fact that women were essentially treated as a piece of property, to be bought and sold according to social status. In Dante's Paradiso, he observed the contrasts between his time and that of the times of his great-great-grandfathers. The great-great-grandfather had not yet seen the high inflation of the dowry, and therefore was not privy to that sinking feeling of despair when a daughter was born. Yet, if you were of a wealthy, noble patrician family, more than one daughter could be provided for with the dowry system which would maintain the family's higher social status. Through wills the wealthy would bequeath money to specific convents, or to a female family member for contributions to their dowry. What is most mind-boggling is the reason why the dowries inflated so much, as there is no clear and specific reason for this. There were a myriad of forces at work from governmental loans and debts that were high, small costs of living and materials increases, and the inevitable supply and demand of the market with which to secure a future within a patrician family. In regards specifically to Venice, there seems to have been a favorable environment to increase and enourage the high dowries within the ruling class, with a widening circle of dowry contributors to promote lineage. In Rome and Venice, when a father died, the sons were to take care of the daughters and the dowry; if there were no sons, the dowry responsibilites went back up the line through the male ascendants of the deceased father. When there are absolutely no male family members to be found, it is possible that the maternal side of the family would be responsible to help provide a dowry for the daughter. Imagine yourself.. a second sister.. there is no money left over to buy you a suitable marriage. Before you are born, this fate has been set for you. When the time comes for you to grow up, you are sent to a convent to live out the rest of your days, regardless of what the extent of your devotion to God is. You have no hope for children of your own, to know the carnal knowledge of a man, never to have a home to call your own, no items of worth, not many secret treasures, no books other than the bible, seeing your family only sparingly... Such is the predicament for Sophia's sisters in Morin's The Secret of the Glass, unless Sophia figures out a way to change the sands of time. What do you think you would prefer, if you were a young woman and perhaps in Sophia's shoes, who is betrothed to a man who she detests? 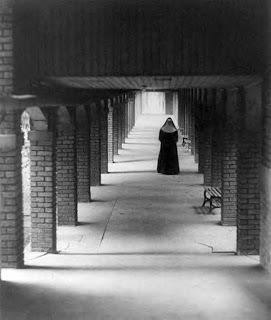 Could you choose to become cloistered as a nun for the rest of your life almost in a state of poverty and neglect (depending on the convent)? Or would you prefer to at least have some material comforts in life and choose to marry someone who is horrid to you and treats you as a piece of furniture? 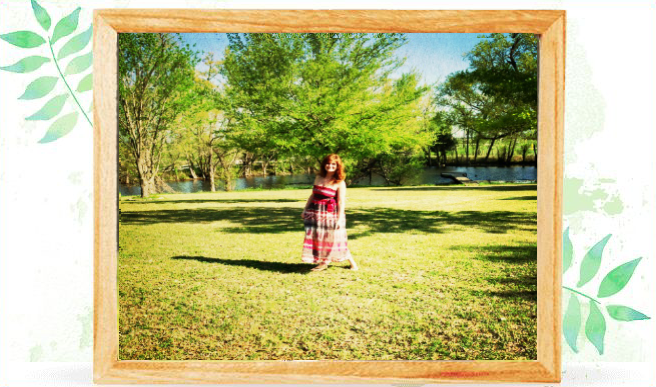 For extra +1 entry, follow this blog. Contest ends March 6, 2010. Don't forget to visit the HF Bloggers Round Table main site for a complete listing of events, from reviews, giveaways to more creative posts! 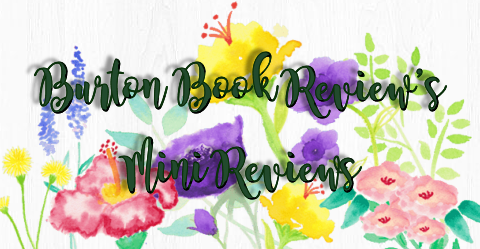 New posts for today include Book Review by Susie at All Things Royal and a new set of interview questions with the author Donna Russo Morin also at the main site. There is also a look at The Courtier's Secret, Donna Russo Morin's previous novel set in the time of Louis XIV.